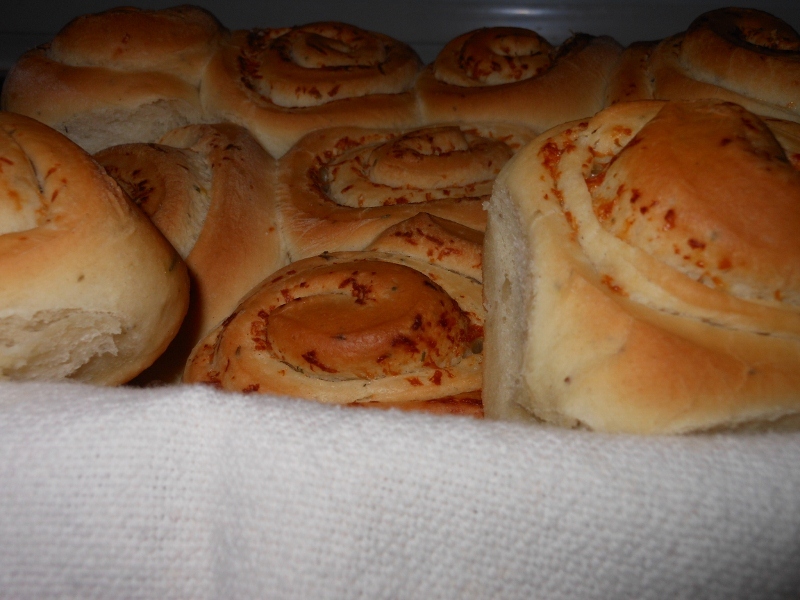 Thought I’d share a new dinner roll recipe today. 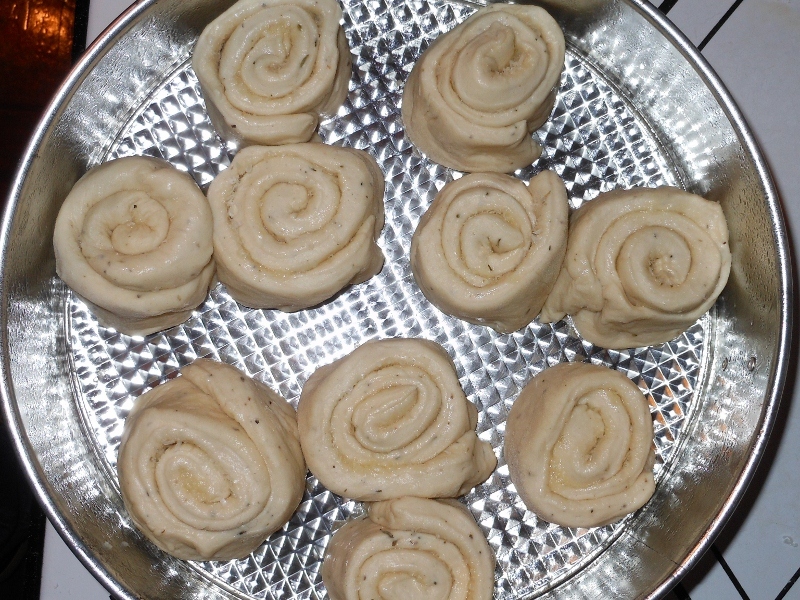 I was flipping through my kitchen aid manual and came to the herb pull-apart rolls. I began making the rolls, making a few changes of course, only to find my muffin tins have found new homes. Alas a springform pan will do! I must say they were delicious. I rolled them up like cinnamon rolls. The only thing I will do next time is add more parmesan cheese and sprinkle with garlic and salt before rolling to add more flavor. In warm mixing bowl dissolve yeast in water. Add 1/4 butter, 2 cups of flour, sugar, salt, herbs, and garlic. 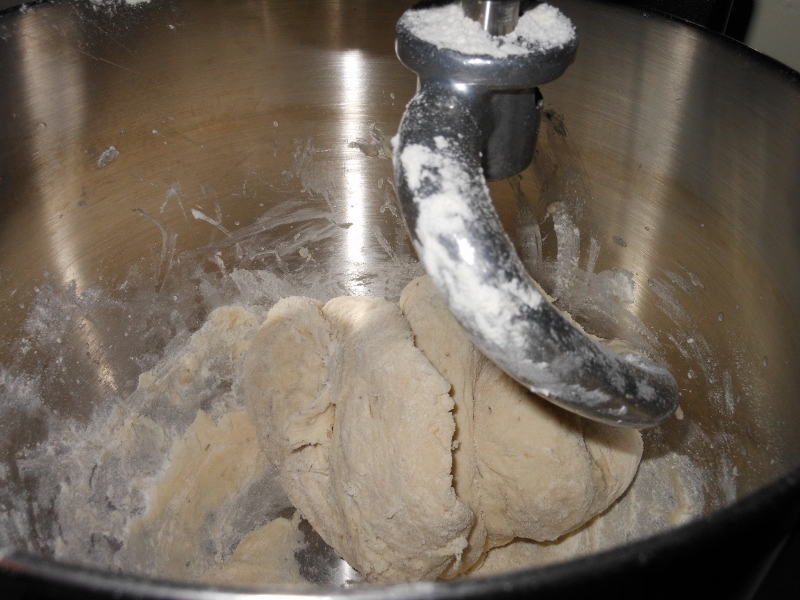 Mix at a slow speed with dough hook attachment; about 1 minute (speed 2 is the recommended setting on my Kitchen Aid). Keep mixer at same speed and slowly add remaining flour 1/4 cup at a time until dough begins to pull away from sides of bowl; about 2 minutes. I used just over 3 cups total for my rolls. 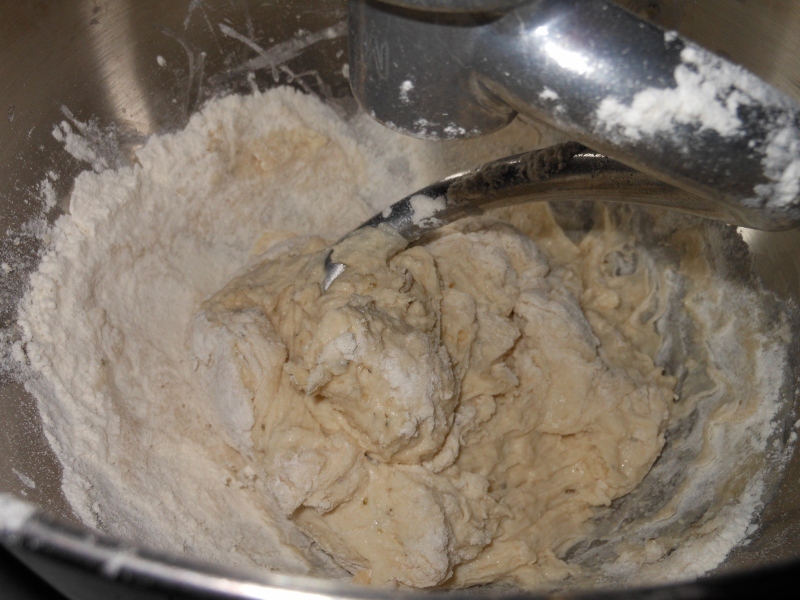 Continue to mix at slow speed for an additional 2 minutes; until dough is smooth and elastic. 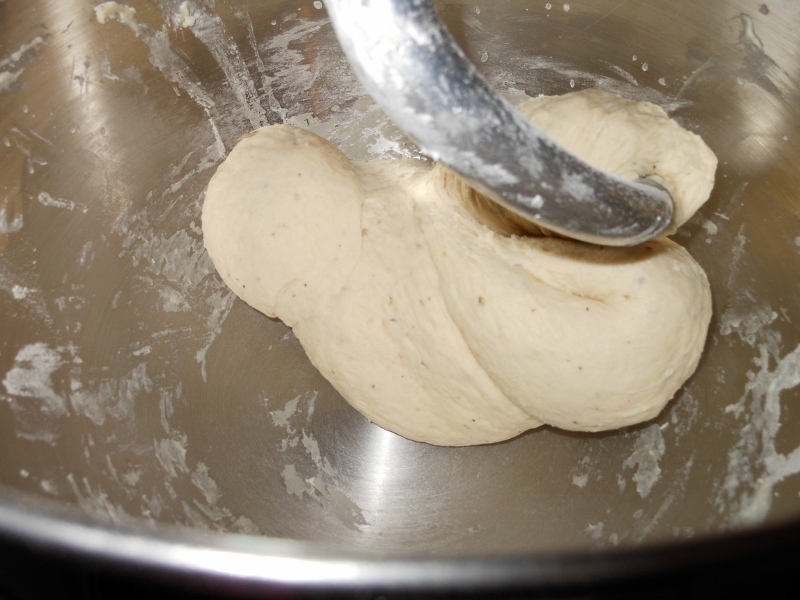 Place dough in greased bowl, turning to grease top. Cover with plastic wrap and set in warm place for about 1 hour. Punch down dough. Turn out onto lightly floured surface and roll or pat out into a 12 X 10 square. Brush with remaining butter and sprinkle with parmesan. Cut into 10 – 12 strips. 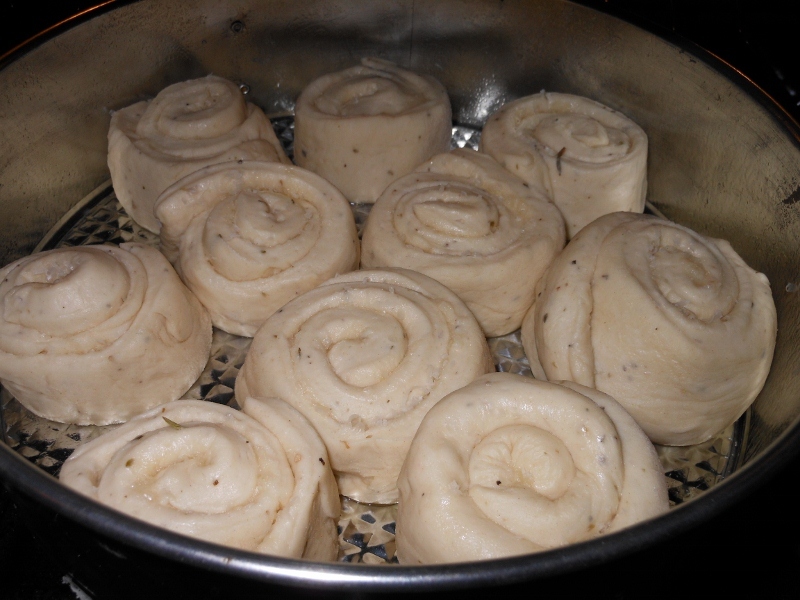 Roll dough and place into greased springform pan. Allow to rise another 30 minutes until nearly doubled. Turn oven onto 375 – 385 degrees place rolls in oven with still warming to finish rising (if rolls have already gotten too big wait until oven is hot to begin baking). Bake for approximately 35 minutes until golden brown and no longer doughy. As I mentioned before I will season a bit more next time before rolling them up, but they were great as they were too!